The Exponent Telegram is reporting that a passenger taken to the hospital Sunday morning following a two-vehicle collision has died from injuries sustained in the accident. According to Harrison County Sheriff’s Department Chief Deputy Scott Lattea, the incident was reported at 6:53 a.m. at the intersection of U.S. 50 and Flinderation Road in Salem, after a water truck and a pick-up truck collided. Harrison County EMS and Salem Fire/EMS rushed 4 people involved in the collision to United Hospital Center in Bridgeport, where the passenger who was seated in the pick-up truck later died. Laetta stated that Harrison County Sheriff’s Department Lt. Rob Waybright was set to reconstruct the accident. It has been reported that as many as 13 people die in truck accidents in the United States each day, making incidents such as the one which occurred in Salem all too common. Vehicles like water trucks are great in size and often have trouble braking, making them serious hazards for other motorists. Even if you are driving a sturdy vehicle such as a pick-up truck, as the driver in the Salem collision was, severe damage is likely to occur when the accident involves a large commercial vehicle. Truck accidents can be difficult to navigate, because so many parties are often involved. That’s why it’s necessary to have an experienced personal injury attorney by your side if you or someone you know has recently been injured in a truck accident. 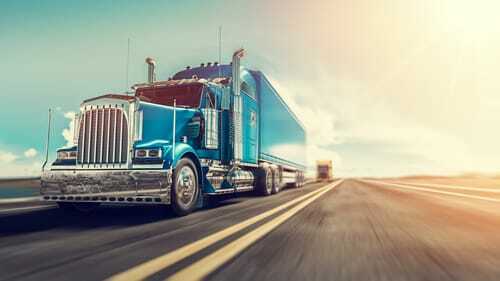 Trucking Companies: Truck companies often force drivers to work long hours, don’t always train employees properly, and sometimes put unsafe vehicles on the road. They may also be found liable in these cases. 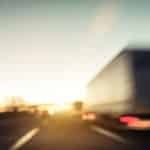 Trucking Manufacturers: Manufacturers who use faulty parts or let vehicles off the line without proper inspection can be found liable in truck accidents. Cargo Companies: Cargo companies are known for overloading trucks, making them potentially liable in accidents where the weight of a truck contributed to an accident. Other drivers: In cases like the Salem incident, if a passenger is injured in a truck collision, the driver in the car with them may be held responsible if they failed to obey the rules of the road. After a truck accident, many people think it is better to trust insurance companies to sort everything out, but this is not always the case. Insurance companies will try to reduce compensation as much as they can, and big trucking companies may use high-powered legal representation to argue against your claim. At Goddard & Wagoner, LLC, we know that expensive medical bills can pile up, making it difficult to move on with your life. If you or someone you love was recently injured in a truck accident, you should contact our Clarksburg truck accident attorneys today. With over two decades of combined legal experience and millions of dollars recovered on behalf of our clients, you can trust us to fight tirelessly to secure the compensation you deserve. The people of West Virginia know, when you want results, you call Goddard & Wagoner, LLC. Dial (304) 470-8441 now, or contact us online for a consultation anytime.